Yakima is home to the best apples and wine. We are also the leading producers of hops in the U.S. 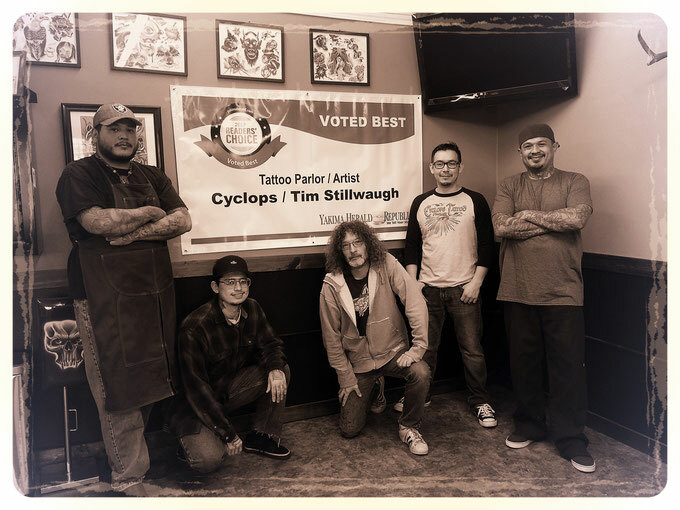 BUT... did you know that Yakima is home to one very dedicated and talented tattoo studio, CYCLOPS! We're dedicated to giving you a clean, comfortable, and fun experience. From the tattoo virgin to the tattoo connoisseur, our tattoo artists are always courteous and knowledgeable. Come see us today!